None of us imagined that we'd be breathing this much smoke again so soon. As we enter the holiday season, priorities might be shifting and our homes, communities, experiences, family and friends are more precious. Please join us for an infusion of joy this holiday season as the voices of the SSU Symphonic Chorus ring out in Vivaldi's Gloria. However you spend this holiday season, the staff at the Santa Rosa Symphony extends good wishes to you and yours. As we head into the holiday season, I have been reflecting on how music builds community – or perhaps more specifically, how an orchestra builds community. Can you see, in an orchestra, the model for a vibrant community? That is part of the power of watching an orchestra perform. In the youth concerts I conducted in Santa Rosa in November, I talked with the students about the skills necessary for an 80-member ensemble to play together, like active listening and watching. For young people, playing an instrument is actually preparing them to be an active member of society. That is why the Santa Rosa Symphony Music Institute’s many education programs are so important and transformative, impacting our community right now and for decades to come. As adults, we can model our behavior after an orchestra by being aware of our surroundings, listening intently to others, freely showing emotion, taking risks, embracing change, and knowing when to lead and when to follow. When you join the Symphony in December for some Italian-inspired masterpieces, take a moment to appreciate the level of intense teamwork and personal expression taking place on stage. My best wishes to all of you for a beautiful holiday season, full of friends, family, food and fun! Hark the "Harold" and chorus sings! On December 1, 2 and 3, the Symphony will be joined - on stage - by the SSU Symphonic Chorus. This is a choral program you won't want to miss. Vivalid's Gloria is filled with thrilling leaping octaves, joy and splendor. 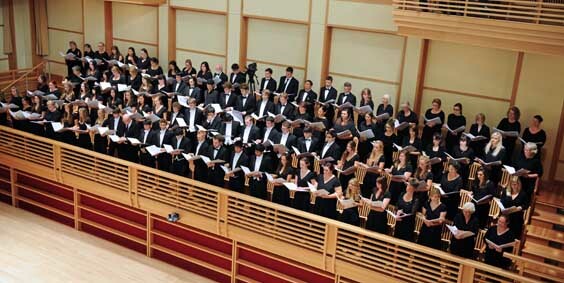 SRS Choral Director Jenny Bent said, "With its vivid contrasts, electrifying counterpoint, and exuberant rhythmic tapestry, Vivaldi’s setting of the ancient Gloria text combines quintessential compositional practices from the height of the Baroque Era with a programmatic approach very much ahead of its time." This program, conducted by Jayce Ogren, also includes Berlioz' endearing Harold in Italy, featuring dynamic violist Nokuthula Ngwenyama and Rossini's William Tell Overture, made ever so famous by the Lone Ranger. Jayce Ogren has established a reputation as one of the finest young conductors to emerge from the United States in recent seasons. His impressive credits include conducting symphonies and operas across the United States and beyond. 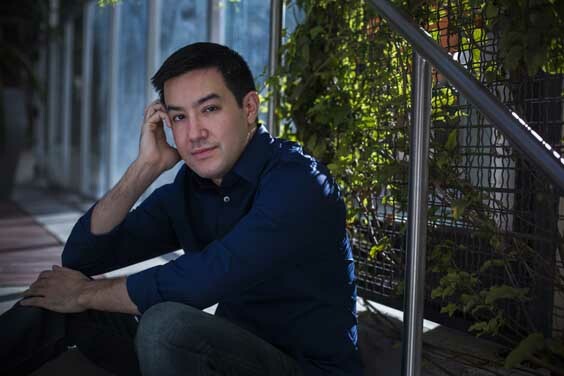 He is also a rising star as a composer and has led contemporary works with The Ensemble Intercontemporain in Paris, projects with ICE (International Contemporary Ensemble) at Lincoln Center, at the Wien Modern Festival, and at Columbia University’s Miller Theater. Michael Berkowitz conducts a stocking full of the greatest music from the best-loved seasonal movies of all time—from timeless classics like It’s A Wonderful Life, Miracle on 34th Street and White Christmas to new family favorites like Home Alone, The Polar Express and Elf. Vocalists Charity Goodin-Sanen and Jonathan Poretz join the orchestra for this fun concert. Get your Pops tickets from the Luther Burbank Center's box office or by calling the LBC box office at (707) 546-3600. 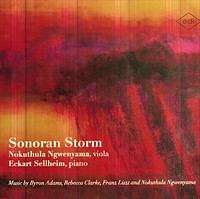 Just released in October, Nokuthula's Sonoran Storm features composer/violist Nokuthula Ngwenyama and pianist Eckart Sellheim, performing Nokuthula's title work and others by Rebecca Clarke, Byron Adams and Franz Liszt. The CD sells for $20 and will be available in the lobby for "Viva Italia" performances and the artist will sign her CDs immediately following the performance. Acclaimed violist Nokuthula Ngwenyama will work with two violists from SRS youth ensembles during a FREE masterclass on Thursday, November 29 at Weill Hall. A masterclass is an open lesson, during which a student performs a solo work and is coached by a master teacher, while the audience listens and learns with the student. Come watch a top-flight musician and music educator share insights and techniques (many of which can be applied to other instruments) and see a student improve before your eyes. As guest artist of the Symphony on December 1-3, she will perform the viola solo in Berlioz’ Harold in Italy. She is also an accomplished composer and arts education advocate. Admission is FREE, but parking is not. RSVP is required. Please reserve a seat at srsymphony.org or call Patron Services at (707) 546-8742. 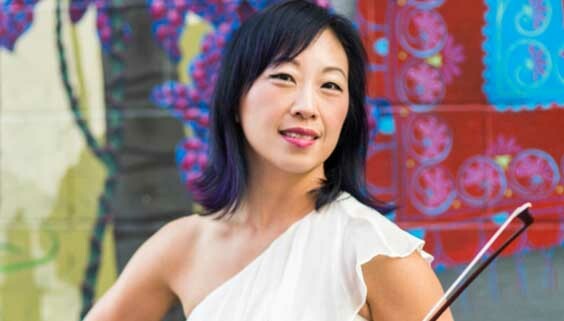 Eugenia "Genie" Wie has been playing violin with the Santa Rosa Symphony for eight years, ever since she moved to San Francisco from Chicago. Her parents listened to classical music, especially solo violin music like Thais Meditation by Jules Massenet and Ziegeunerweisen by Pablo de Sarasate and steered her to the violin. Given a choice, she would have preferred the cello. Eugenia is also a member of the Symphony Silicon Valley, substitutes with San Francisco Symphony and plays with Opera San Jose. She made her orchestra debut at 13 with the Kishwaukee Symphony. She listed her lessons with Josef Gingold and her first time playing with the Santa Rosa Symphony as major career highlights, adding, "SRS now feels like family to me." Other performance highlights include: her San Francisco Symphony debut; playing with Vadim Gluzman and her Promusica Chamber Orchestra colleagues; playing Brahms' Sextet with Gary Hoffman at the Schleswig-Holstein Chamber Music Festival; and playing Schubert's String Quintet at St. Patrick’s Cathedral in New York City. When asked who her favorite composers are to play, she said, "I love playing Brahms. I love playing his symphonies, but his chamber music is transcendent. I especially love his string sextets. Aside from Brahms, I tend to enjoy playing music from the Romantic/hyper-Romantic, Impressionism, Neo-Classical Age. I love early hyper-Romantic Schoenberg (pre-12 tone technique), Prokofiev and Shostakovich. I also love 20th century composers such as Bartók and Kodály." Her favorite piece is Schoenberg’s Verklärte Nacht. She plays tango music for fun at home and dreams of playing in a tango band. For listening, she likes "cello pieces, especially cello sonatas, Mozart piano concerti, Chopin piano etudes and string quartets—especially Schubert, Mozart, Beethoven and Mendelssohn." Eugenia used to compete in triathlons before a spinal injury forced her to stop. "I can’t even express the sheer joy and relief of competing and completing my first full-distance Chicago Triathlon." Now, Eugenia spends her spare time practicing yoga (daily), skiing, hiking, visiting art museums and hearing lectures. Her other major passion is food: baking, cooking, watching cooking shows and trying new types of cuisine or new restaurants. "I just love the artistry that goes behind making food delicious." Long-time SRS subscriber Jerry Wunderlich was born in New York, and his life continued on the East Coast for 30 years. He lived in upstate New York during his youth; New Hampshire (Dartmouth) for college; Manhattan for work in the large scale retail industry before moving to Hong Kong for an opportunity he calls a life-changer. There, Jerry managed a Duty Free business through explosive regional growth, with a focus on the newly emerging Japanese tourism trade. Locations at the port of re-entry to Japan were established throughout the region. After some personal real estate projects in Honolulu, his group developed Resort Hotels throughout Asia, catering again to the Japanese market. Lasting fascination and affection for SE Asia resulted from frequent travels to Indonesia, Thailand and Japan, often with his wife, Susie. After 10 years in Honolulu, San Francisco became their home, in a unique condominium building he developed on Russian Hill. For 18 years, the couple enjoyed Michael Tilson Thomas and SF Symphony, and occasionally the SF Opera, before moving to Sonoma County in 2002. They still frequent "Live from the Met" opera performances. Today Jerry and his wife live in Alexander Valley. They have three grown children - a daughter, two sons and six grandchildren. Jerry enjoys traveling, books, golf, good music and recreational Bridge. Susie’s garden also keeps them busy. Today is #GivingTuesday—a global day of giving. Join this worldwide celebration of generosity by donating today and investing in your Santa Rosa Symphony’s artistic and educational endeavors. For more than 90 years, your Santa Rosa Symphony has been devoted to building community through music, with captivating and inspiring musical performances throughout Sonoma County, education services to 30,000 children a year, and so much more. This devotion has only strengthened following last year’s devastating wildfires. Despite significant financial losses from canceled concerts and canceled fundraising campaigns, the Symphony raised $115,000 for fire relief, replaced young musicians’ instruments that were destroyed and commissioned two full orchestral works for our professional and youth orchestras that commemorated the impact of, and recovery from, the disaster. Your personally-significant, tax-deductible gift to the Santa Rosa Symphony helps make unifying and uplifting musical performances possible. It also helps incredible young people pursue their love of music, which can and does transform their lives, as it did for Kailey, a student of Kashia Elementary on the Pomo Indian Reservation of Stewarts Point. Kailey’s dream to become a cellist persisted despite her family’s struggles with homelessness. Deeply moved, Symphony staff leveraged the fire recovery instrument drive, quickly identifying and refurbishing a cello Kailey could make her own. Our Youth Orchestra principal cellist even volunteered to mentor the aspiring musician and the tribal elder with whom Kailey had been staying during the school year decided to house her year-round. Now she has both a safe space to explore a new musical world and, most importantly, a home. On behalf of the entire orchestra, our young musicians, the board and staff, thank you for your support! 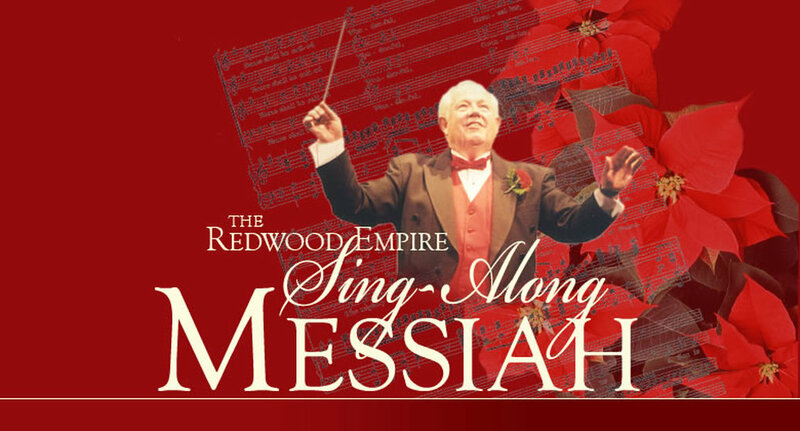 Join Conductor R. Daniel Earl as he once again leads the audience, on-stage chorus, and the Santa Rosa Chamber Orchestra in the longest-running sing-along Messiah in the United States on Sunday, December 16, at Sonoma Country Day School in Santa Rosa. Soloists for this 3:00 pm interactive concert will include Daniella Caveney, soprano; Margaret Starr, mezzo-soprano; Rodrigo Castillo, bass; and Ethan Williams, tenor. Musical scores will be available to assist the audience in joining the on-stage chorus and orchestra in singing such classics as the Hallelujah Chorus. Listeners are warmly welcomed as well. Tickets: $25 ($20 for Symphony League Members) and $15 for students. Purchase from the Symphony League online or in person at Stanroy Music Center, 850 4th Street, Santa Rosa. All proceeds benefit the Santa Rosa Symphony Institute for Music Education. In a side-by-side with Santa Rosa Symphony on their Saturday and Sunday performances, Santa Rosa Symphony Youth Orchestra played Overture to Candide by Bernstein to wild audience approval. Their fall concert, New Beginnings, the following week was also well-received and ably led by new conductor Bobby Rogers. Young People’s Chamber Orchestra’s opening concert, Ariadne meets Frankenstein: Mythology and Monsters on Sunday, November 4 at the Phoenix Theater in Petaluma was a theatrical treat, with musicians and director Aaron Westman in costume. Debut Youth Orchestra and Aspirante Youth Orchestra gave their premiere performances with new names and new conductors on Sunday, November 11 at Jackson Theater. The program, titled Stories in Sound, featured solid solo performances by violinists Kaleb Kokott (DYO) and Robert Carrillo (AYO). Both orchestras played with verve and conviction in a lively, entertaining concert. Simply Strings’ Fall Recital on Friday, November 16, at Piner High School highlights the Pre-Orchestra and the newly formed Simply Strings Orchestra. 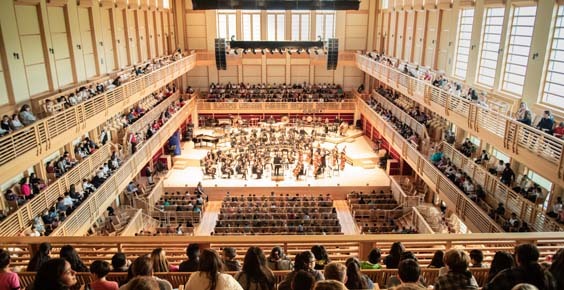 The following day, the Simply Strings Orchestra participated in a Seminario bringing them together with three other Bay Area El Sistema programs, hosted by Sonoma State University Orchestra. The inaugural concert by the SRSYO Chamber Players Recital on Saturday, November 17 in Petaluma introduced small ensembles made up of 40 outstanding wind, brass, percussion and string musicians from SRSYO. After a wildly busy November, the Education Department is looking forward to a quiet December, with time to get ready for all the excitement in the New Year. Coughing is no fun – for you or for those around you. Having a cough lozenge in your pocket or even a hard candy can help soothe the throat and calm the cough, so you can remain in the hall during the concert. If you forgot to bring one with you, ask an usher or at coat check for a complimentary cough suppressant (subject to availability). AmazonSmile is an easy way to support the Santa Rosa Symphony every time you shop on Amazon.com, at no cost to you. You purchase anything you wish, at the usual price, and AmazonSmile makes a donation to the Santa Rosa Symphony. The exact same prices for you, and your purchases will automatically support the Symphony. Go to smile.amazon.com from the web browser on your computer or mobile device. You use your current Amazon account, so you don’t have to make a separate one. On your first visit to AmazonSmile, select the Santa Rosa Symphony as your charity by finding Accounts & Lists and selecting “Your AmazonSmile.” Then click on the gray “Change Charity” button on the right. Type in Santa Rosa Symphony in the box titled “Or pick your own charitable organization.” You can then select Santa Rosa Symphony Association. Start shopping! You will see eligible products marked “Eligible for AmazonSmile donation” on their product detail pages. Bookmarking smile.amazon.com in your browser will help you remember to always shop Amazon from there. If you would like to learn more about AmazonSmile, click here for further information. The time has come when we're thinking about family and friends and ways that we can brighten their lives with a gift. What better gift than live symphonic music, which can soothe, comfort, excite, inspire and heal. Who do you have on your holiday gift list that would love tickets to the Symphony? Single tickets start at just $24. You can even purchase a mini-subscription (pro-rated) for four or five of the remaining 2018-2019 concert programs. See the SRS subscription page for more details and watch for a special offer coming soon.